If you’re not already on Jonny Trunk’s mailing list, you may have missed out on his excellent 50p Friday Offers. Every Friday, Jonny puts up a collection of MP3s for, you guessed it, 50 pence. Apart from interesting releases by the BBC Radiophonic Workshop and exotica king Eden Ahbez, Jonny has made available soundtracks, including the OST from the Forbidden Planet. The movie needs no introduction to sci-fi heads, but do check out the soundtrack, as it’s pioneering work by electronica gurus, Louis and Bebe Barron. 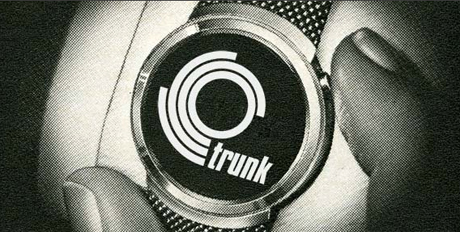 The MP3s are available on the Trunk Records site for one week only, so get them while they last! Got it. Anne Francis and the robot from Forbidden Planet (1956). That’s even before The Twilight Zone episode Uncle Simon (1960). I recognise the robot from The Twilight Zone episode Uncle Simon. Who’s the actress?